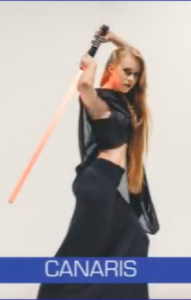 CM-O, or as we call it: Space Samurai, is a choreography inspired by the Musashi versus Tanaka fight from Westworld Season 2, Episode 5 (see original video). 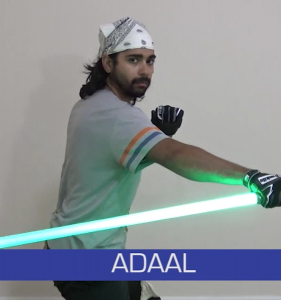 In this saber choreography, instructors Amen Abdou and Alexis Adames from SaberCraft.org walk you through the roles in this action packed choreography. Choreography notation by: Amen Abdou. Throughout 2019 we, as a team, will notate a number of famous staged battles utilising the TNS. 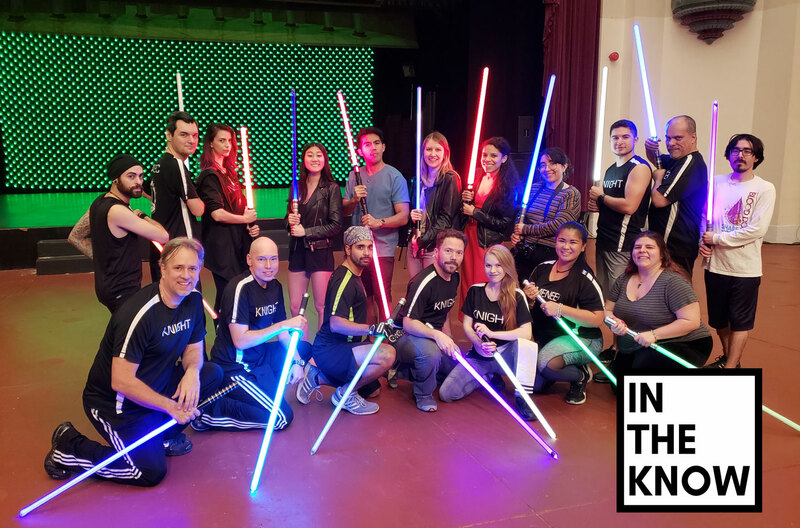 The Notation Challenge's goal is to help you develop your notation skills while contributing to the lightsaber community, theater companies and other costumed groups out there. 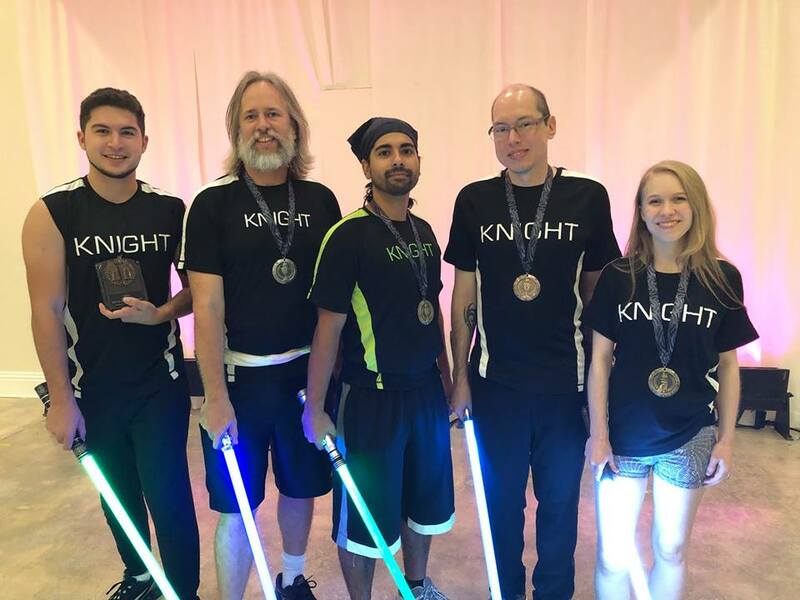 Being a part of this challenge goes just beyond notation as you will also contribute to the future SaberCraft curriculum and a part of many sequences available in LUMINA. 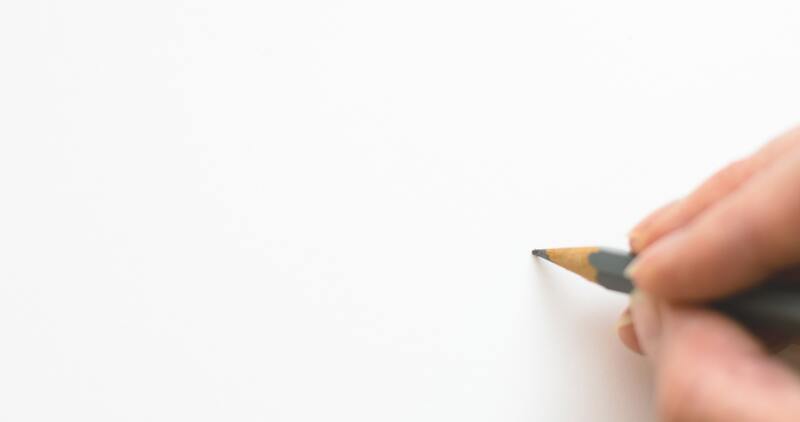 In order to be a part of this challenge, you will have to work with others as a team in order to review a battle, notate it, compare and compromise. You will work with your team to develop the battle into CMs and help decide a single CM that will go into the SaberCraft Core CM library. 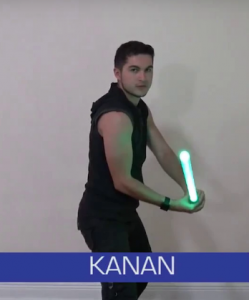 Future saber choreography clubs will be able to download these fights and re-enact them as well because of your contribution to the community. Interested in notating a different battle? Come see us at our next class and present your idea to the instructors. Let's get started. Your work is added to our CM library and published on sabercraft.org credited with you as the editor. As teams are added, they will be listed here along with the fight they've chosen. SaberCraft has been featured on AOL In the Know Presents video series. Our video achieved over 419,000 views worldwide. See the SaberCraft article on AOL In the Know. 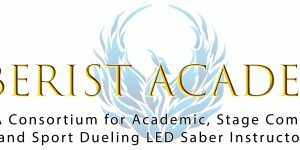 SaberCraft is proud to announce that we are building a partnership with Saberist Academy. 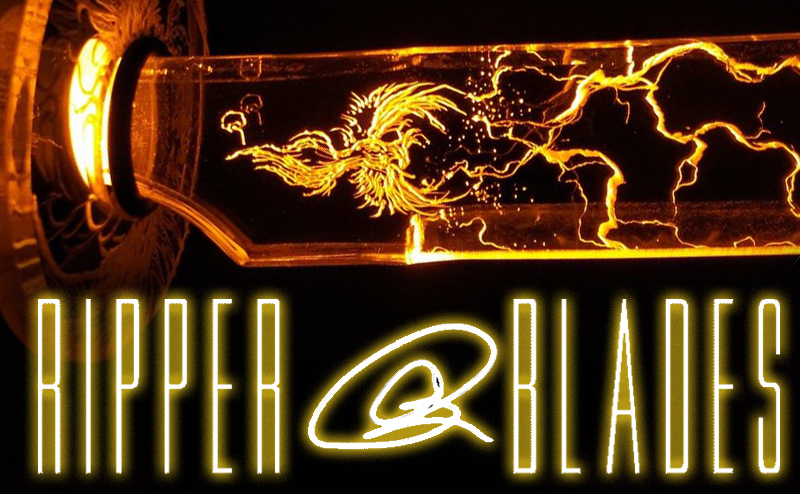 Saberist Academy is a Consortium of Saber Instructors operating in their own MetaStyle of either Academic Study, Stage Combat, Flow, or Sport Dueling, but it all is rooted in The 8 Core Principles It is an important resource in the Art of LED Saber Combat and Stage Combat. 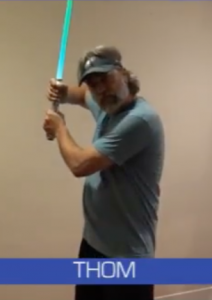 SaberCraft’s classes and lessons are based on the MetaStyle focus of Stage Combat and Flow. An important goal of SaberCraft is to prepare its students for any form of either performance or choreography sport competition. As SaberCraft has developed LUMINA as a new saber choreography game system, it’s MetaStyle will be focused on Academic Study and Sport Dueling. Utilizing the Temporal Notation System, LUMINA will convert any/all notation systems into a universal collection of choreography movements. Each system/school will have its own library of moves and notations specific to that system. 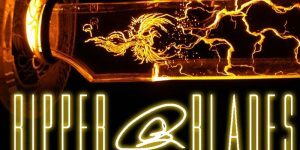 Through LUMINA meets, Sport Dueling will be the primary focus as LUMENS will compete with each other in order to accrue points to win the season. Saberist Academy is headed by Flynn Michaels, a pioneer in saber clubs throughout the US and the world. 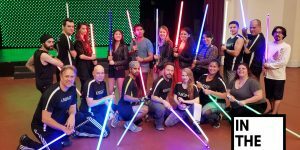 Saberist Academy focuses on building a community of various saber club instructors in order to build the saber community and awareness of its various sports, clubs and schools. Saberist Academy has established itself with a saber store called the Kyber Cave located in Fairfield, California. The CM-40 series captures cinematic history in the first epic battle between father and son. Below is the notation choreography as we notate all parts of this battle. 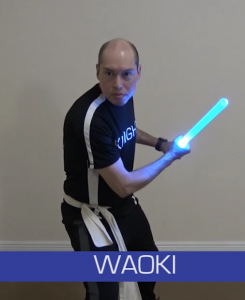 CM-L continues staff-work and provides a 2nd installment to K to create a long bout between 2 lumens using a staff vs. saber combination. Notation below for Staff is noted with which hand is used to strike with the staff. L stands for Left. R stands for Right hand. Hand positions are up to the Lumeneer but we recommend Right-hand palm facing down and Left-hand palm facing up.